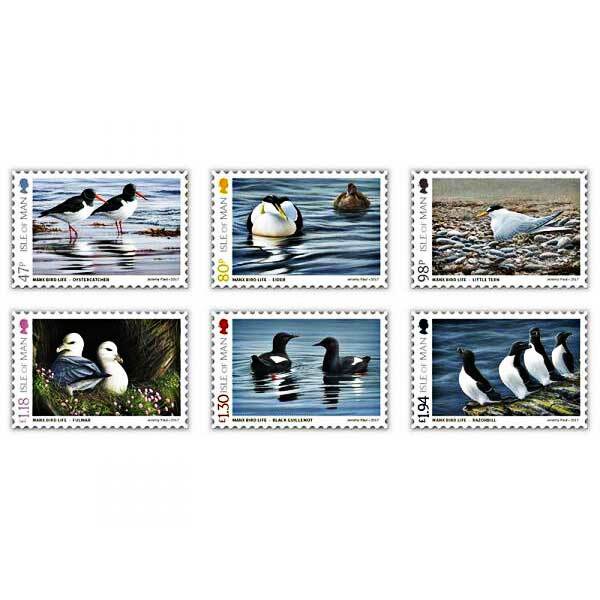 This beautiful set of 6 stamps (47p, 80p, 98p, ₤1.18, ₤1.30, ₤1.94) by popular wildlife artist Jeremy Paul feature Oystercatcher, Eider, Little Tern, Fulmar, Black Guillemot and Razorbill. These birds, discovered on the Isle of Man, are Birds of Conservation Concern in the British Isles and play an essential part in the Manx BirdLife census taking location in 2017. 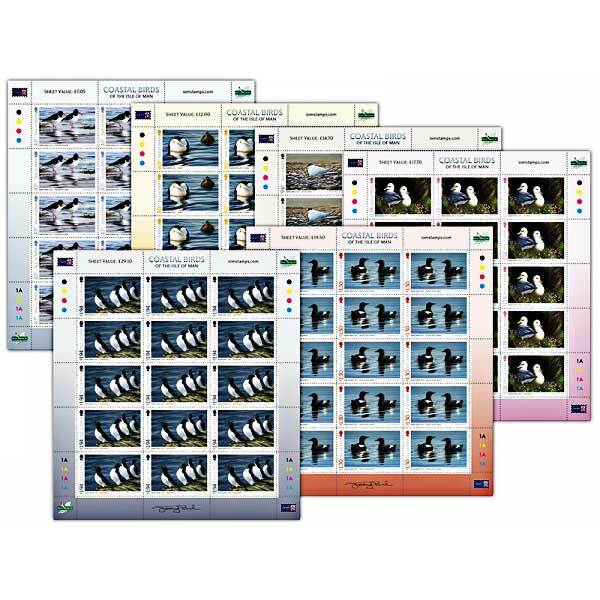 These stamps are an accurate representation of the birds in their natural surroundings and do genuinely record a minute in time which is a credit to the extremely in-depth work of Jeremy Paul. The set is available in mint condition and cancelled to order.